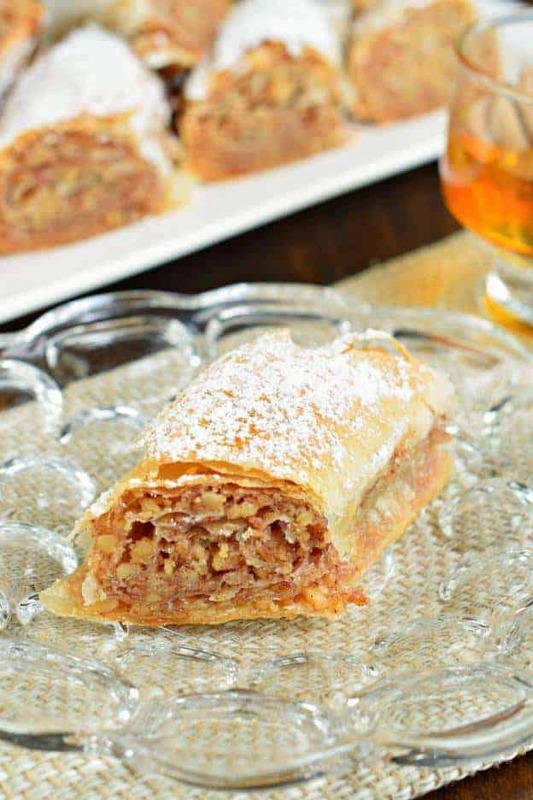 Sweet and flaky, this easy, rolled Russian Baklava will melt in your mouth! 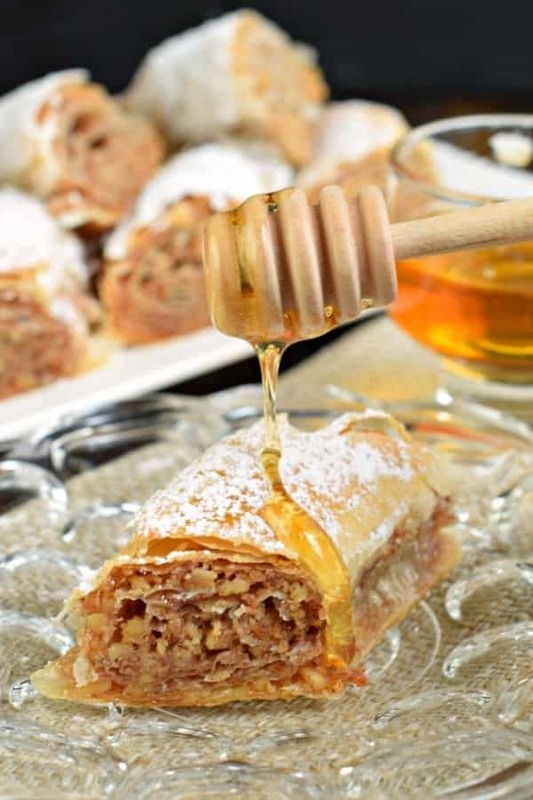 Phyllo dough, nuts, and sugar never tasted so good! 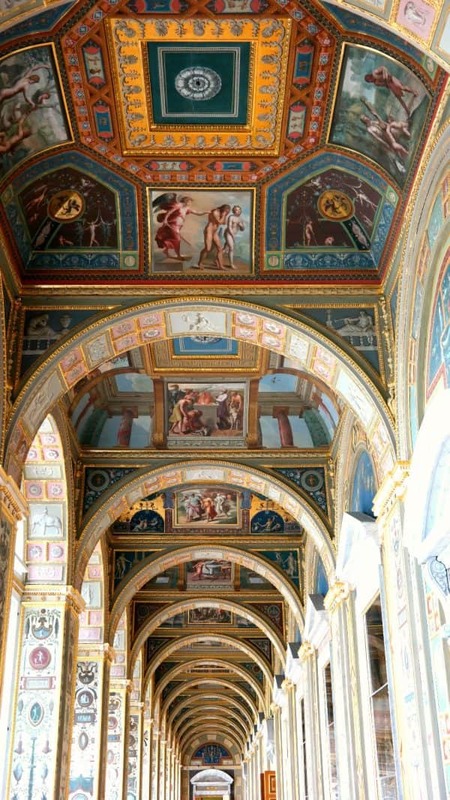 Sometimes I have to pinch myself when I look back at the photos from my Scandinavian Cruise last May! 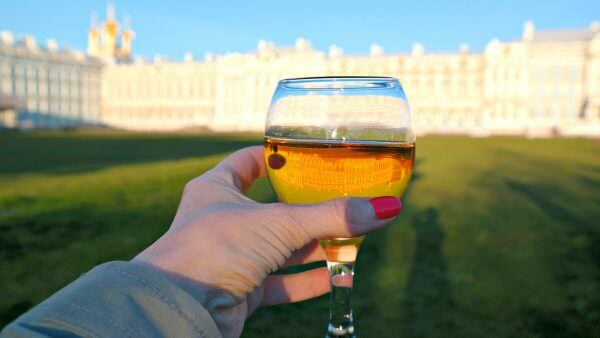 In case you missed it, I had a whirlwind of a trip with Princess cruises, as we sailed through the Baltic visiting so many countries! I have never had my passport stamped until this trip. I had been to Canada prior to it requiring passports, and now…I’ve been to Denmark, Germany, Norway, Sweden, Finland, Estonia, and Russia! Yes, Russia. I’ll be honest, when we arrived and saw this on the scene I was a bit worried. 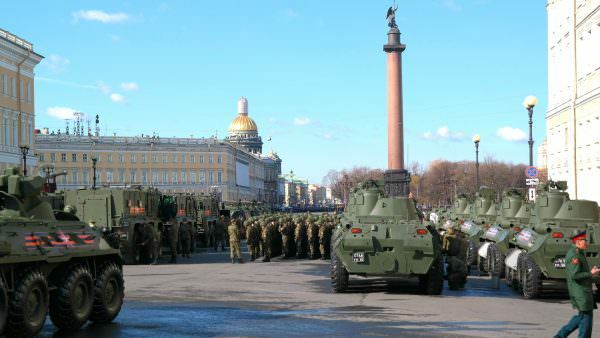 Turns out it was just their yearly celebration, Victory Day, and the military was practicing for a parade. But still….made some nice photos to show the kids, haha! I didn’t care for Russian food. Maybe I didn’t try all of your favorite traditional food? Having spent two lunches, a dinner, and few snacks along the way….I wasn’t impressed. This delicious Russian rolled baklava we ate for lunch on our last day. It was simply divine, and so different from any baklava I have ever eaten. It wasn’t sticky and gooey like most kinds I’ve tried. Instead it was warm and covered in powdered sugar. 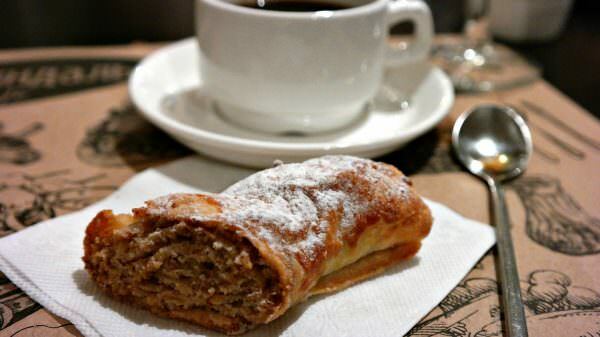 Flaky, sweet, and the perfect ending to an amazing two days in St. Petersburg. As my trip aboard Princess Cruises progressed, I kept notes of food that I loved. (Like this Gnocchi Alfredo and these Almond Croissants). Food that I KNEW needed to be made at home for my family. Ironically, I’m not a big fan of baklava. Or at least the traditional baklava that most of us are familiar with. But this? 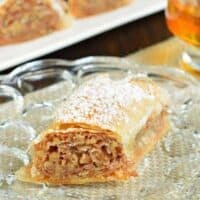 This was something different and my version of this easy rolled Russian Baklava comes pretty close! 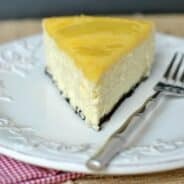 You can even add a drizzle of honey if you feel inclined! Make sure your phyllo dough is completely thawed. I bought mine from the store frozen and placed it immediately in my refrigerator for several days. Be very careful separating the layers of dough. They are very thin! If they rip, it’s okay with this recipe. Just lay the ripped pieces where they are supposed to be and brush GENTLY with melted butter. The more powdered sugar the better. I first douse mine with some right out of the oven, and then again after I cut them. You can even roll the whole log in powdered sugar after they have cooled and then cut your slices. These are best on day one. However, cover loosely on the counter to enjoy the next day. Want to use the other half of your box of phyllo dough? 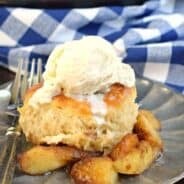 This recipe can easily be doubled! 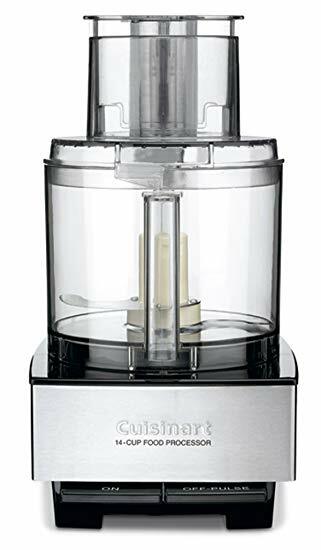 In a food processor, pulse walnuts until crumbs. Pour into a bowl and add 1 1/2 cups of the powdered sugar and cinnamon. Mix and set aside. In a small bowl, add the melted butter, set aside. Lay out one sheet of phyllo dough. Brush gently with melted butter using a silicone pastry brush. Cover with another sheet of phyllo dough. Brush with melted butter. Repeat until you have 5 sheets of phyllo dough stacked. On the last buttered sheet of phyllo dough, sprinkle about 1/2 cup of the walnut mixture. Spread gently with fingers. Using your hands, roll the dough up tight (rolling from the short end to the short end). 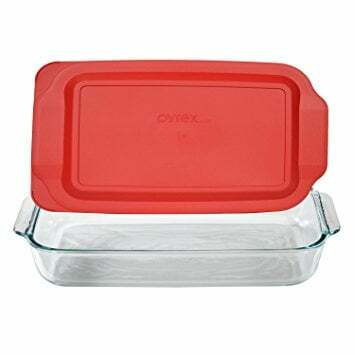 Place in a 13x9 baking dish that has been sprayed with baking spray. Repeat for remaining sheets of phyllo dough. Drizzle the remaining butter over the top. Bake in a preheated 375°F oven for 28-30 minutes, until edges are brown and crispy. Sprinkle immediately with 1/4 cup of the remaining powdered sugar. Cool for about 1 hour. Remove from baking dish and slice each log into 4 pieces and sprinkle with the remaining 1/4 cup powdered sugar. Add honey if desired upon serving. ENJOY! 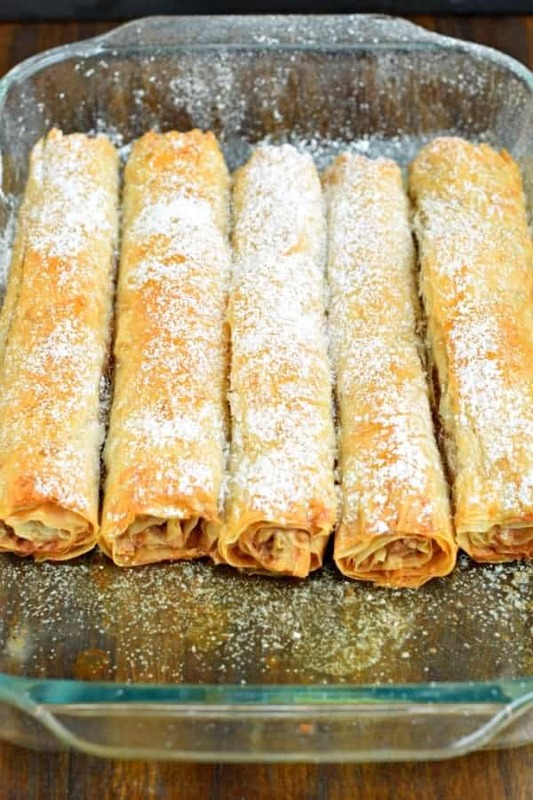 This recipe is fool proof, especially since you just roll the baklava up!! 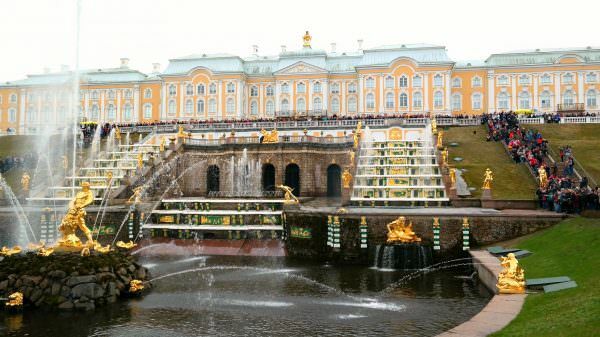 So, I confess that I checked out the baklava when I saw the picture from St. Petersburg. 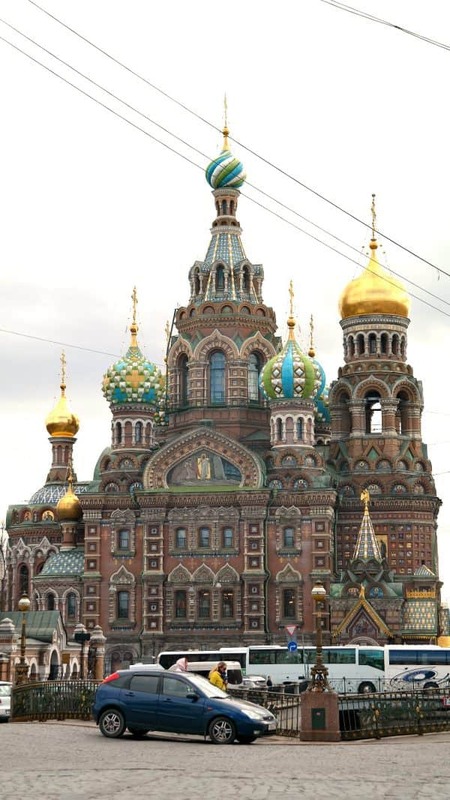 I took a small group of students to Russia for 10 days in 2003…best spring break ever. Next time, try to get to Moscow too because it is more Russian than European. I agree with you about the food & I never saw this baklava. I fell in love with baklava after living in Turkey & this recipe definitely looks easier than others. Thanks for posting it. 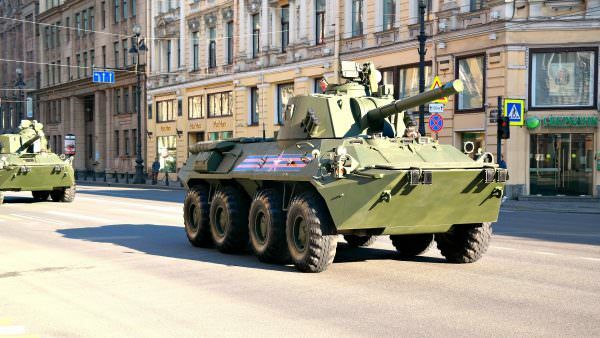 Unfortunately, the excursions to Moscow booked up FAST! 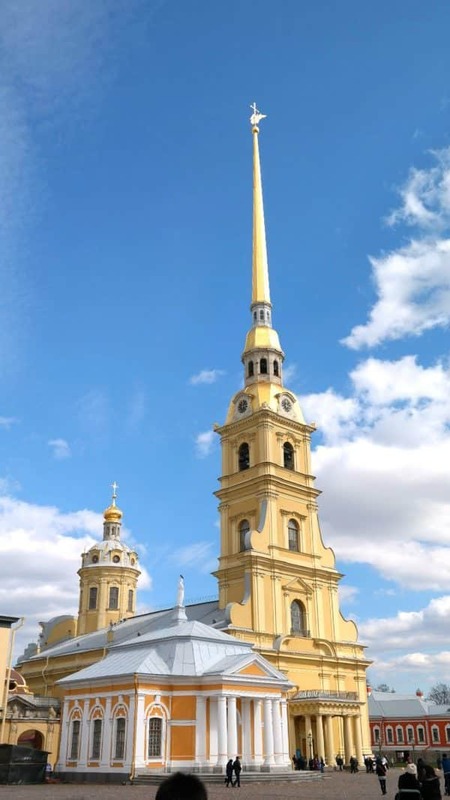 However, spending two days in St.Petersburg was amazing, especially being able to see all the castles and churches! You’ll have to try this baklava, it’s so good!!!! This looks like it would melt in your mouth! Yum! Your trip looked like it was so much fun!!! Your trip looked like heaven though I’m not a big traveler. I’m doing the recipe this week for hungry boys!! Do you not separate the milky part from the melted butter? . . . When I work with Middle Eastern padtries, I always scope off the milky residue. Your photos are amazing. The dessert would be a great end to anything! Thank you for sharing. 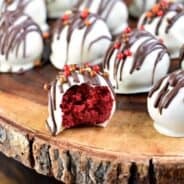 I’ve never made balavak but I am tempted to try this. 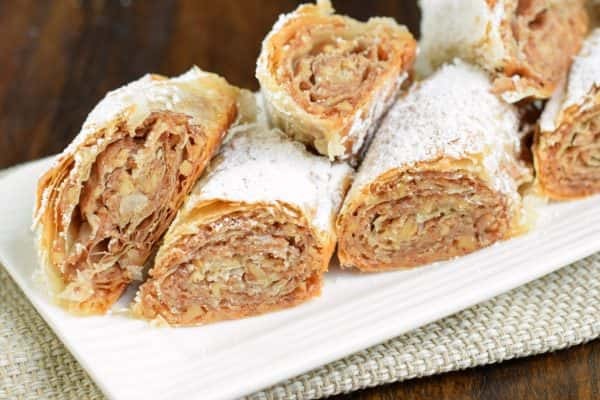 Baklava is a Turkish or Greek dish, but not Russian. Never liked Baklava, but this sounds more like Hungarian pastries- not too sweet. We went on this Princess cruise ,loved seeing each country- one of my favorites!!! !